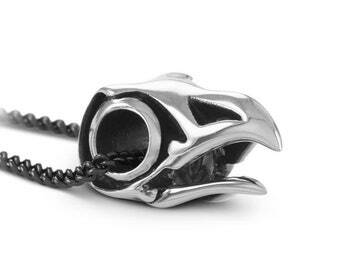 No doubt about it, this owl skull is one of the most intricate we've ever made. 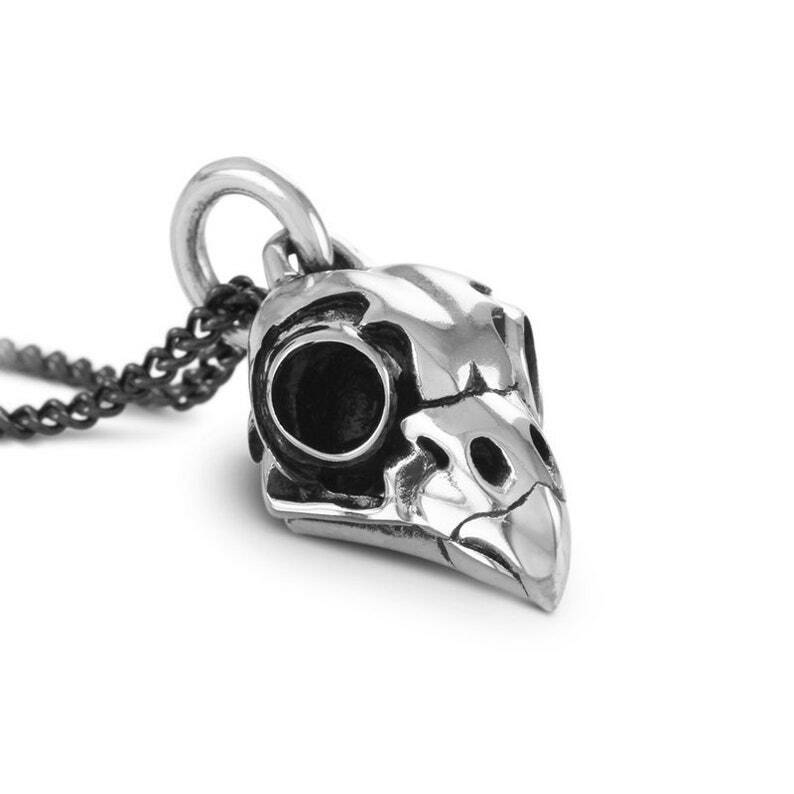 The tiny details of the beak and the cavities running through it, the bones of the lower jaw, and the huge, conical bones of the eyes are all captured in this piece, and the bail (the small loop at the back of the skull) is incorporated seamlessly into the design. 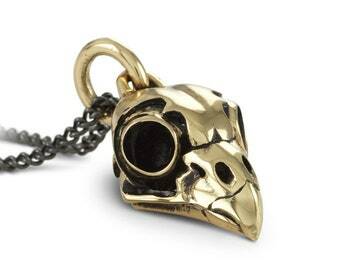 This piece measures 24mm from the back of the skull to the tip of the beak, and 18mm across those huge eye orbits. 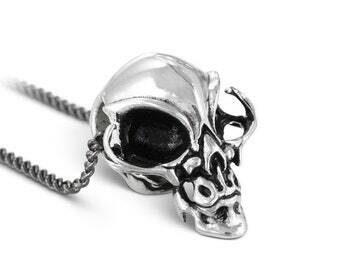 The skull comes on your choice of chain or leather - all leather necklaces are adjustable and come with our signature Lost Apostle clasp (shown in the last photo). Look deep inside the eye cavities and you'll even see tiny holes and channels which replicate the real thing. Nature's a tough act to follow, that's for sure. 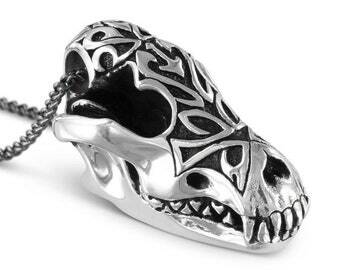 This skull is completely hand carved and cast in the purest white bronze. 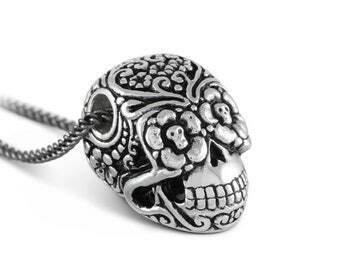 After polishing, the skull is then thickly plated in sterling silver, before finally being oxidized to not only give the skull a nicely aged look, but also to really bring out all those hard won details. 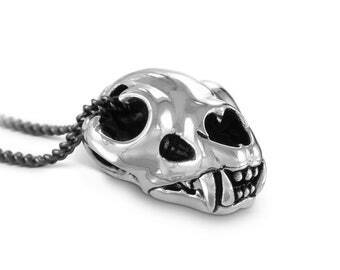 A fantastic piece of jewellry, expertly crafted. Very pleased.